One of my favorite things about many vintage Bunka dolls and pose dolls is that even though they are simply made, their pose-ability allows them to change and become more than the sum of their parts. 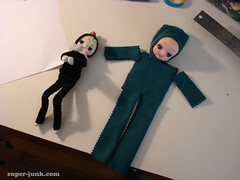 Picking apart old handmade dolls, I am often surprised by the simple shapes they are made of. A basic square of fabric can be manipulated into a dress, pants, a hat, even footie-pajamas. 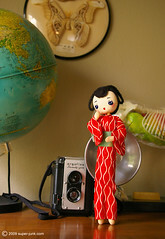 I find that by not over-complicating my patterns, the dolls I create can stay as true as possible to vintage dolls that I love. 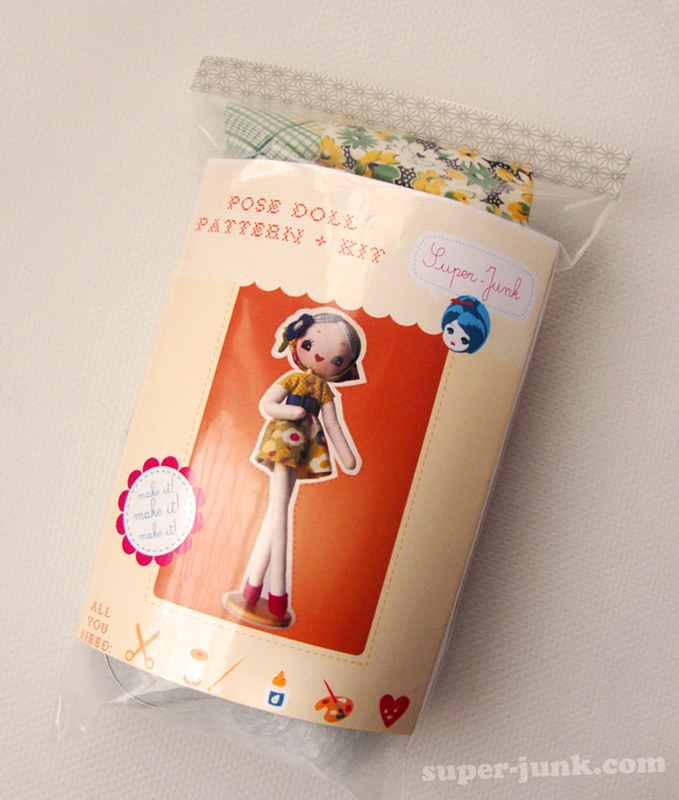 I’ve combined my findings of vintage pose doll construction — as well as experiments in materials — into a simple kit for you to try. Each kit has enough materials to make two six-inch pose dolls in coordinating outfits. The dolls are completed with very simple sewing techniques – you don’t even need a machine to whip them together. You can combine the re-usable patterns in the kit with your own materials to create endless combinations of faces and outfits. The instructions contain the techniques I use on my own small pose dolls and bunka babies, just by varying the length of the limbs. A limited number of kits are available now in my Etsy Shop! Amazing! Will you be attending Blythecon Portland? And if so, will you be selling these there? This is such a cool idea!!!! Im a bit keen to get one of these I think, my kick start my doll making again. Christina, why on earth would you need a kit?! WOO this is lovely and exciting! wowowow!! i want a kit so bad!